Brett Jackson from Barnsley is a true success story and demonstrates how hard work with the correct property knowledge can definitely pay off. Just like most attendees, Brett Jackson started educating himself with Samuel Leeds YouTube channel, engaging with the social media pages, reading ‘Buy Low Rent High’ and making the final step by attending the free crash course. One year later, Brett is proud to announce that he is financially free and has a housing portfolio of 9 single let homes ranging from £50,000 to £85,000 with a passive income of £3,000 per month. Similarly to Samuel, Brett is an entrepreneur. Not only is he making his way in the property world, he also has his own wedding business which involves performing at weddings and providing teepees for the occasions. Bret attributes his success to the idea of taking risks and investing money that’s earned into ways of additional income. As the rapid growth of Brett’s property portfolio grows, he believes that he will need to outsource additional property management to help with the increase of workload that will come with more homes. He is fully aware of the challenges that are faced within the property investment market, but currently spends less than an hour managing his properties. 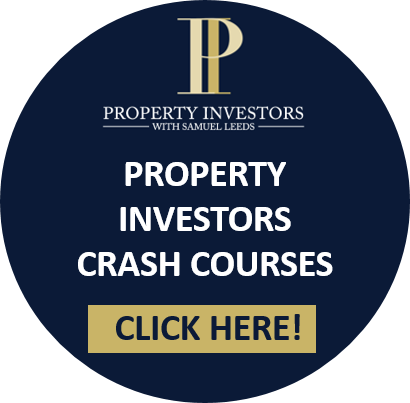 The key feature that Brett relays in the final stages of his sit down with Samuel is for anyone that wants to get involved within property investment to remain highly educated and continue to learn even when you think you have studied everything there is.